Albino humpback whale spotted off coast of Australia. Sally Kern's husband Steve edges closer to the Oklahoma legislature. 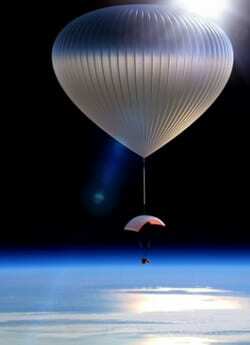 Space tourism company wants to take tourists 20 miles above Earth in a balloon. Donny is the only reason so far to watch Big Brother 16. Mexico's Supreme Court backs gay marriage in Baja California. "According to a news release from the court, the ruling stated that a provision in the Baja California Constitution limiting marriage to heterosexual couples is unconstitutional." DOMA lawyer Roberta Kaplan reflects on victory a year later. Dozens hospitalized after Avicii concert. Oil wrestling fest in Turkey. 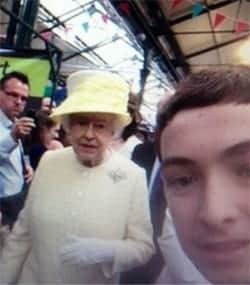 Royal no-no: Kid snaps selfie with Queen Elizabeth II. David Beckham and Tom Cruise spotted at pub: "The stars were spotted at The Cow, an Irish pub in the trendy Notting Hill district in London on Monday. The A-list pals seemed to be enjoying each other’s company as they shared a bottle of wine, while Beckham also nursed a pint of Guinness." Miss Gay Nicaragua crowned: "Carlos Castro, known as Amerika Ithzell Korkobas Berdrinadxy, will now visit several provinces in the Central American nation in the role of Miss Gay Nicaragua seeking to raise awareness about sexual diversity and gender identity and to help fight discrimination." Shirtless male models strut their stuff at Milan men's fashion week. Video: Beyoncé and Jay-Z show off wedding footage on tour opening night. The star that is Carol Channing's best friend: "A team of astronomers has identified possibly the coldest, faintest white dwarf star ever detected. 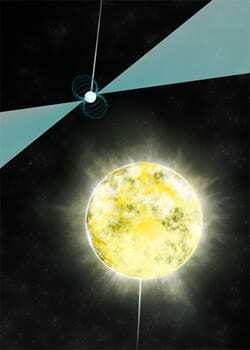 This ancient stellar remnant is so cool that its carbon has crystallized, forming — in effect — an Earth-size diamond in space." Frank Ocean splits with longtime managaement team: "The singer had been managed by Christian and Kelly Clancy — who also manage Odd Future — since 2010, but split from the two earlier this year, the report says. The New Orleans-bred talent has yet to select new management, though." LGBT advocates in Wyoming applaud 10th Circuit ruling on Utah. NYC big soda ban dead: "The state’s highest court on Thursday refused to reinstate New York City’s controversial limits on sales of jumbo sugary drinks, exhausting the city’s final appeal and handing a major victory to the American soft-drink industry, which bitterly opposed the plan."